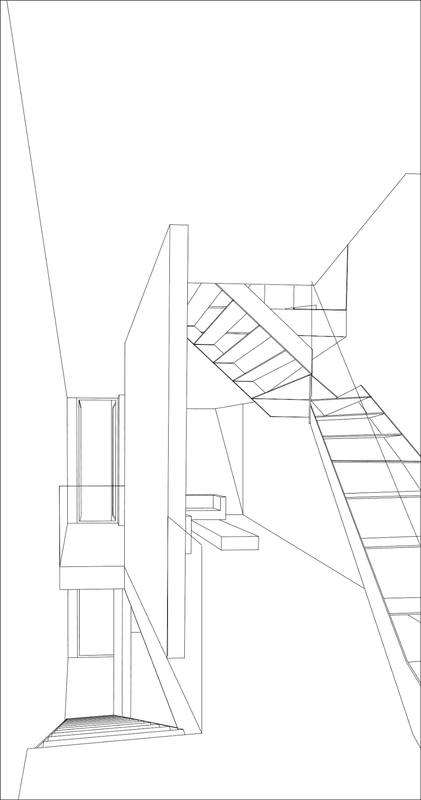 Fourth_space were approached by a retired couple who were looking to utilise a wedge of space next to their own 3 storey Victorian house in order to build a separate affordable home for their daughter who was a key worker. With this is mind, it was determined that the house must be constructed in a simple and extremely cost effective way whereby the exploration of this aim became the key generator of the buildings form, construction type, exterior envelope and internal materials. The site was of particular interest in being constrained and triangular in shape, in its proximity to a dominating church to the rear and its position within an arc of eclectic and varied properties along Lauriston Road. The existing victorian house stood isolated with its neighbouring semi-detached villa having long since disapeared due to bomb damage in the war. 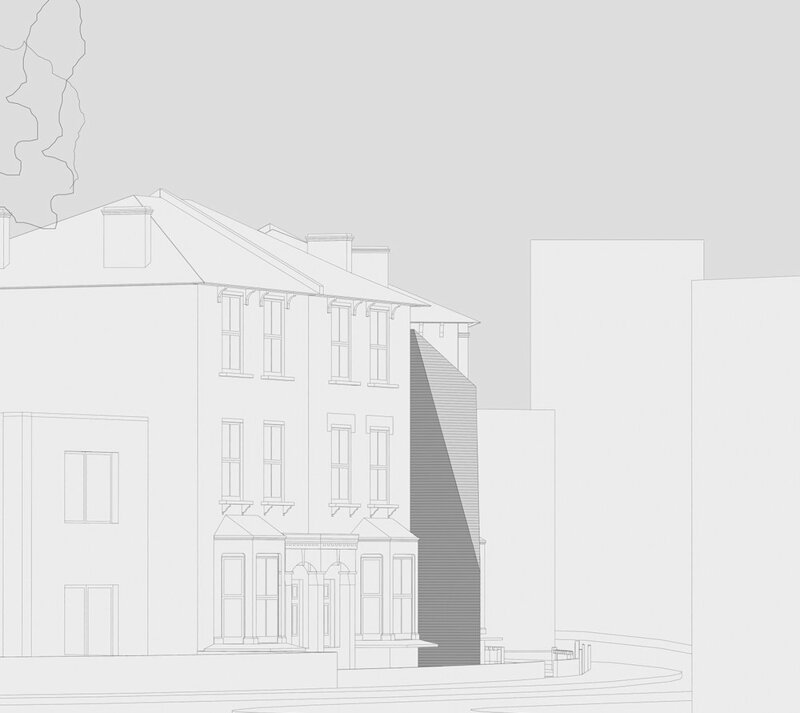 Because of this it was decided to create a distinct vertical slot house over 3 floors to match the height of the victorian villas original to the street, yet make it blank and monolithic in appearance as a direct contrast to their period detailing. The interior spaces therefore became concealed behind an apparently window free facetted form where a large roof light, single window and door in the rear facade and an inconspicuous timber /glass panelled slot in the front elevation were the only interruption to the seamless cladding of the built volume.